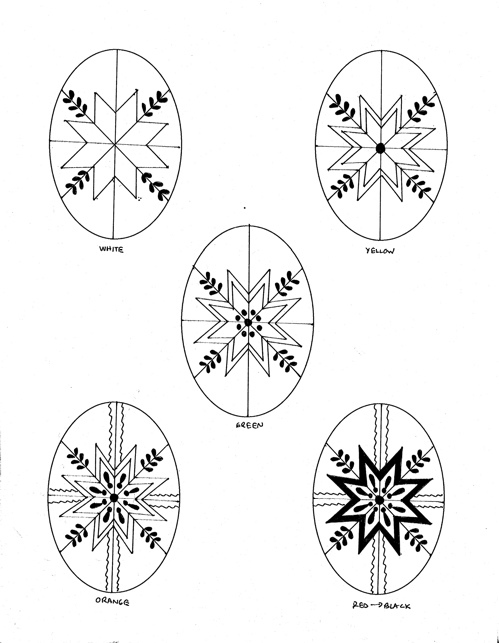 For much of my pysanka writing career, pattern sheets were a mainstay for me. Some of the first classes I took, back in the sixties, were held at St. Mary’s church, and put on by the Ukrainian Graduates. 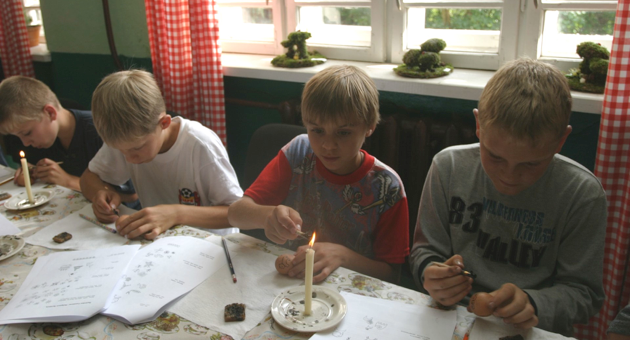 Martha Wichorek was the guiding force behind the organizations “Pysanka Project,” and created pattern sheets and even wrote a short booklet about pysankarstvo. I don’t recall much about the classes, but I do remember using the pattern sheets they provided, and still have some of them. You can download some of these vintage pattern sheets yourself (here). And you can have a look at their booklet here. Through the years, I devoured each Ukrainian Gift Shop book as it came out, and tried out the patterns provided in it. To a beginner, or even a more advanced student, such pattern are useful because they break down a pysanka design into a step-by-step, color-by-color process. 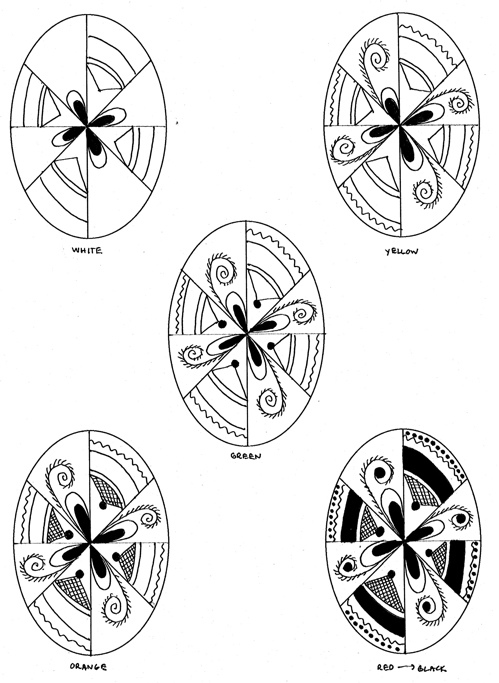 In the later books, Natalie Perchyshyn expanded the concept of a pattern sheet, and, by showing how to make pencil division, and what parts of the pattern to sketch in beforehand, as well as discussing dyeing techniques, actually turned these patterns into short lessons in pysankarstvo. I learned a lot about the process of pysankarstvo from these books, as well as my own trial and error and, later, conversations with live and internet pysanka friends. The second set were all traditional designs, at least one from each region shown in Odarka Onyshchuk’s book «Символіка Української Писанки». I originally created these pattern sheets for HUHTC summer camp in Ukraine in 1999; I later translated them into English, and posted them on my site. There are 19 of them altogether, and you can download them here. I’ve uploaded the Ukrainian versions of these pattern sheets as well.